Ryan Gosling seems to be everywhere these days. Not that I mind. He’s not only good looking; he’s got that area of melancholy around him that reminds me a little bit of a very young Mickey Rourke. So irresistible. I watched two movies in a row this weekend starring him, both picturing a marriage falling apart, with completely different approaches to the topic. Ryan Gosling was the only thing they had in common. The question is: Which one won this duel? Let’s find out! First out was Blue Valentine. I hesitate to admit this, because you might take it the wrong way, but I actually fell asleep watching it. Please don’t jump into the conclusion that it’s a bad movie, because it isn’t. I was quite devastated realizing what had happened, and as soon as I woke up I re-watched everything I had missed and a little bit more to be on the safe side. However, the pace IS admittedly slow and it might not be the best pick for burying yourself into a sofa for some Friday night relaxation. If you manage to stay awake, Blue Valentine gives very realistic portray of two people who fell in love once upon a time, but who apparently have slipped away from each other over the years and now it doesn’t work any longer. In a final desperate act to save their marriage, Gosling’s character books a hotel night for them, but the question is if it will be enough for them to rediscover what was lost. This story is told in a non-chronological manner, jumping back and forward in time, alternately showing scenes from the miserable present and events from the happier days when they first met. So what about Gosling’s performance? Is he more than eye-candy for the ladies? Oh yes, definitely. Actually I find him quite unattractive in his older incarnation, not being a fan of moustaches and whiskers. We get to see him as a young, charming and imaginative guy, who transforms into someone who appears to be a bit of a “loser”, but at the same time is a great and loving father. He’s believable, and so is Michelle Williams playing his wife, who gets increasingly impatient at his lack of ambitions. It doesn’t feel as if the movie takes sides for either of them. They’re human. They’ve got assets and flaws, like all of us. It’s just that they don’t work very well together as a couple, not in the long run. Everything that has gone wrong was present in the beginning of their relationship. But when wrapped up in the process of falling in love, they were unable to see it. 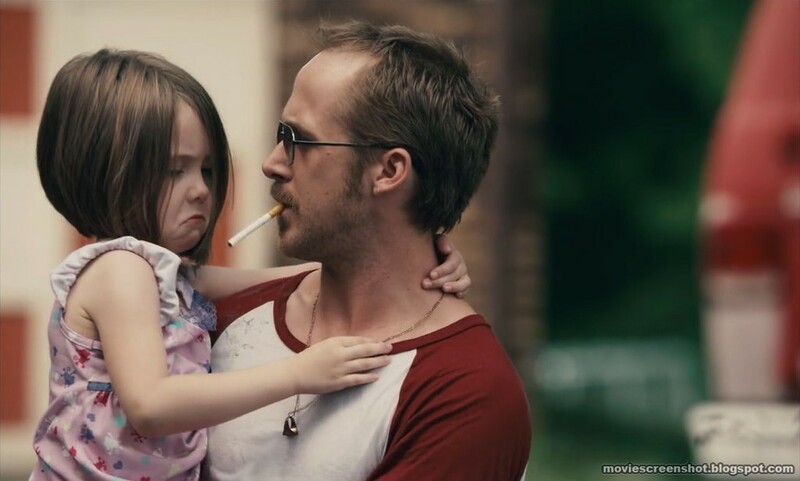 Talking about Blue Valentine I also have to mention Faith Wladyka, playing their daughter. Where do they find those brilliant child actors? The scenes where she appears and the interaction between her and Gosling is so natural that it’s more like a documentary than a scripted movie. Did she even realize she was acting in the movie? You wouldn’t think so. All in all I liked Blue Valentine well enough, even though I wouldn’t put it at the same level as for instance The Squid and the Whale or Scenes from a marriage. 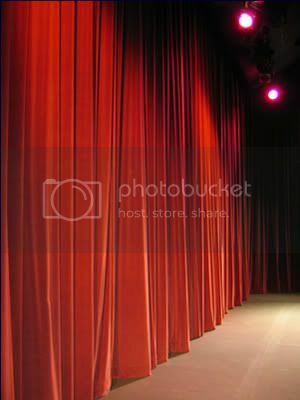 I may be a little bit old fashioned, but I like when people talk in movies. You know, like having conversations. Not just looking at each other. My second divorce movie with Ryan Gosling was Crazy, Stupid, Love. If Blue Valentine lacked humor, this one had too much of it for my taste. Or rather: a little bit too much of the standard gags you find in box office successes. I suppose I’m a bore, but I don’t find it particularly hilarious to see people getting into a physical fight over a misunderstanding until the police arrives making them look like little boys, just to give one example. That kind of scenes bring this movie to a lower level than it had needed to be on considering the topic, a marriage breaking up after 25 years and the middle aged man and woman being a t a bit of a loss how to proceed with their lives. I would had hoped for a little bit more, especially since it’s written and directed by the same ones who did I love you Philip Morris, which I liked quite a bit, especially for being so unpredictable. Well, I tell you: this isn’t. Sure, we get to admire Ryan Gosling’s six pack and there are a few scenes I figure could be considered equivoque, but on the whole it tastes too much like a family friendly Disney movie. Safe for grandmothers and anyone older than 13 years old, supporting traditional values and utterly, utterly predictable. Not even a bit provocative. It’s not that I insist on that all good movies need to have an unhappy or ambiguous ending. Throw a glance at my “My life in movies” posts and you’ll see a lot of positivity in it. But generally – if you add a lot of sugar, you need to balance it out with salt, bitterness or at least some originality. In this case they didn’t get the balance right. On the other hand, once again twisting the words of Kirsten Dunst. It’s a rom-com. What did I expect? So what about Ryan Gosling? Actually he didn’t disappoint me the way the movie did. And I’m not just thinking about his belly (photoshopped or not). I liked his take on his slick character, which could have passed as a disciple of Barney Stinson’s. Apparently he’s capable of playing other roles than that silent, depressed guy, who speaks mostly through his eyes. It’s time for a verdict. Out of the two movies I liked Blue Valentine best. That goes without a saying. But if the competition stands between the two versions of Ryan Gosling, I’d rather date the one from Crazy, Stupid, Love. Who wouldn’t? « Will Rosemary’s Baby beat The Exorcist? Dude is all over the place but I’m cool with it because he’s awesome. He’s currently my new man-crush. I’m totally glad he’s getting some attention and hope he gets an Oscar nod for “Drive”. Agreed. I’m not too keen on extremely violent movies, but I’m likely to watch Drive nevertheless just because of Gosling. I like him a lot. I guess it doesn’t hurt that whatever I’ve seen about him in interviews and such has made a good impression on me. Blue Valentine is a fantastic movie and I love it for what it says about love and how sometimes people just aren’t meant to be together, while Crazy Stupid Love is more an arguement for how love can conquer most things. I view the films as apples and oranges since i love both, but Blue Valentine is definitely the winner, Crazy Stupid Love more for the lighter DVD watching nights though. Yeah, I’m with you. I don’t say Crazy, stupid, love is awful. It’s just not quite at the level of Blue Valentine. It’s still worth watching. I might end up watching both Drive and The ides of March because of Goslin. I enjoyed both films, but Blue Valentine was one of the most powerful and best acted films of last year. I felt Gosling got overlooked at the Oscars. While his character in Crazy Stupid Love was a badass, and certainly more likeable, I gotta give the nod to BV because his work is just so stellar. The man has many talents. Drive is certainly worth a look, though it is…violent! Ides of March is released here later in the year, but I’ll give that a look for sure. Nice coverage Jessica! Yeah, I agree. His performance in BV was definitely more impressive, even if I’d rather date him in CSL… Not that much of a surprisde I reckon. 😉 Drie will come up in November and I’m trying to gather courage to watch it. It’s only because of Gosling. Otherwise I definitely wouldn’t consider it. I really liked Blue Valentine. The movie is very atmospheric and has some great acting. Just saw it in the weekend. It’s a bit of a mixed bag: overall the movie wasn’t very good but certainly enjoyable. I really did like the scenes with Gosling and Emma Stone, they had a chemistry going on. More of that and less of the predictable jokes. It’s the second movie where Emma Stone surprises me, I really liked her in Easy A too. Someone to keep track off. Blue valentine was a wonderful movie and sometimes looks can say more than worlds, haven´t seen the Squid yet but it´s on my must see list. Crazy… was ok but i´m having hard with these american conservative movies, they try to be bold and progressive but in the end the audience gets some good old 19th century values stuffed down their throats. I´m also having trouble with the view they have at women in these movies. Please see The Squid. I think you’ll like it a lot, especially if you want something different from standard conservative values. The Squid was nuanced, believable, dark and yet a little funny. Yes, as you know Mr Gosling is my Man crush. And both of these films show off his amazing talent. Blue Valentine is one of the most heart wrenching and yet heart warming films I have seen in a long time. It makes you feel very warm and fluffy that you have it better. I mean, the relationship wasn’t good really even at the start. And CSL Gosling brings a lot of life to a character that could have been very very 2D. Great write up of two or my fave films. I think you’re not the only man to have a crush on him. Or woman. Gosling really attracts everyone, doesn’t he? Even when he’s playing characters that aren’t entirely attractive. I wasn’t quite as happy about CSL as you were, but it was defnintely an oki-ish movie, where I got the opportunity to see Gosling from a different side. With a little less sugar and traditional family values morale it would have been awesome! I haven’t seen CSL – think it’ll be a rental for me. I saw Blue Valentine for the first time a few weeks back. While Gosling and Williams are terrific actors and it is very well written, I’d give it a 4 as well. For one reason or another I just wasn’t affected by it as much as I know other people were. After seeing Gosling in Drive a few weeks back I’ve added Lars and the Real Girl, Half Nelson and Fracture to be rental list – I want to see what else he has done. Why, thank you! Yeah, BV is a good movie, but I wasn’t quite as affected as I was by The Squid and the Whale. I’ve been wondering why and come to the conclusion that it possibly can have something to do with class issues. That I’m living a life that is closer the the one of the couple in S&W. Not a working class family. AT least it’s a theory. I haven’t seen those other Gosling movies you mention, apart from Half Nelson, which I’ve also reviewed here. I thought Gosling was great, but tbh I had a hard time following what was said – or rather mumbled – because unfortunately I didn’t have any subtitles for it. And while I usually understand English very well, despite my origin, it gets trickier when there’s a lot of suburban slang in it. But no shadow falling on Gosling. It was just the lack of subtitles that bugged me a bit. I just checked and The Squid and the Whale is already on my rental list. I’ll bump up its priority so hopefully I’ll see it sooner. Is it one of your favourite films? I wouldn’t go as far as to say it’s one of my favourite films. But it was really good. I wrote a write-up about it a little while ago. You should date the Ryan Gosling from Drive lol Also I enjoyed checking out your blog. I agree that Ryan Gosling channels Mickey Rourke.